Tangram is a popular old Chinese game which consists on reproducing diff erent figures using 7 geometrical pieces of different shapes and colors. 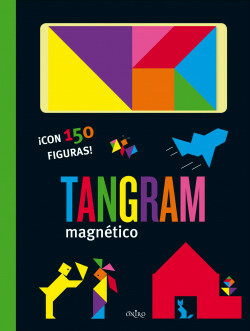 Tangram is one of the most didactical and educational existing games, it helps children to develop their imagination and visual perception, as well as improving their ability of observation, abstraction and creativity. This is the first of a new series of Game Books, with new and attractive formats.